The first day of Freskon has gone by and for the exhibitors it was a great success. Although the trade fair is smaller in size than the giant exhibitions in Berlin and Madrid, the traders felt Freskon is a great opportunity to meet up with existing clients that are based closer to Greece. According to some exhibitors the first day seemed kind of slow, but quickly stated that isn't necessarily a bad thing. Everyone was still warming up and was able to give full attention to those visiting their stand, without having ten people in line waiting for information. The crowd is expected to be a lot bigger the next two days and a lot of business can be done. 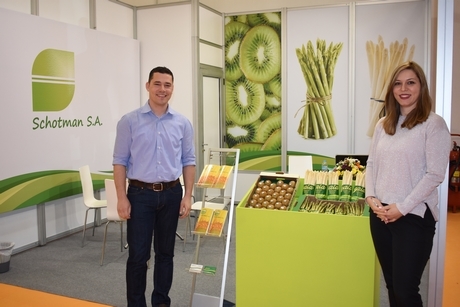 Some of the exhibitors noticed an increase of visitors from the Balkan region, but quite a few Asian visitors could also be seen visiting the stand, exploring some of the Greek produce on display. During Freskon, the International Peach Congress also takes place, which has sessions of speakers during the course of the day. 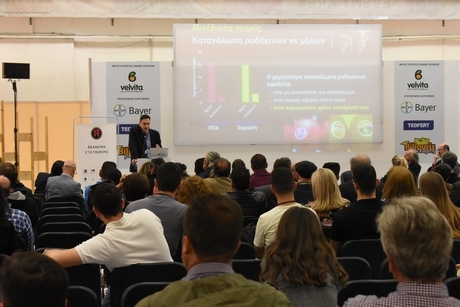 On the first day the statistics of Greek peaches and those cultivated worldwide were discussed, along with cultivating methods and modern technology in the peach sector. On Friday, Greece's position in the canned peach-market will be a hot topic. With Greece being the number one in global export of canned peaches, the country must ensure it doesn't give away that position needlessly and thus an assessment of the competitive markets abroad will definitely be an interesting topic to keep track of. 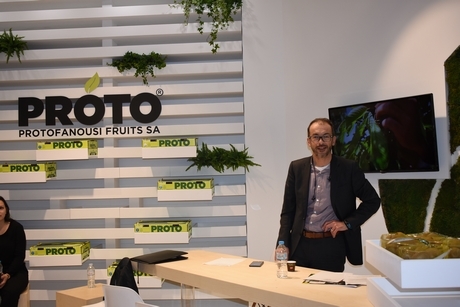 Finally, on Saturday, the results of the International Peach Congress will be discussed along with the expectations of the new season of peaches and nectarines.